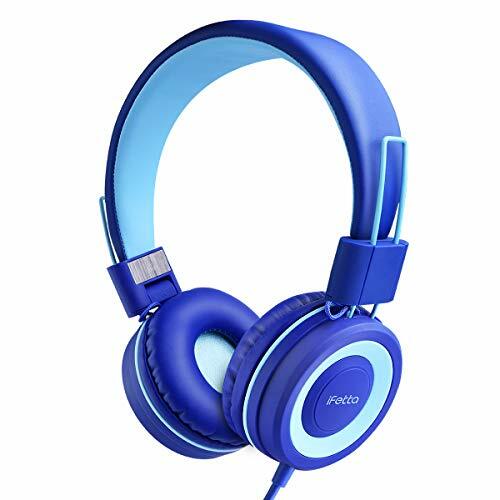 Superior Sound Experience: Stereo bass headphone with excellent sound effect, ifecco kids headphones designed for safety with 85db volume limited to protect the children\'s hearing. Adjustable Headband: The adjustable band allows you to get the perfect fit for head shape. Both fit for children and adults. Comfortable for wear: These on ear headphones with soft earmuff and comfortable to wear. It won\'t harmful for children\'s ears. Wide compatibility:Compatible with all smartphones and tablets with 3.5mm jack devices.